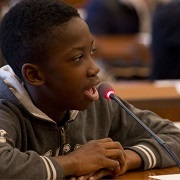 UNESCO CAMPUS are conferences-debates intending to grow the understanding of major world challenges of the young people. CAMPUS UNESCO program has been made possible thanks to the support of our partner Fondation d’Entreprise ENGIE. A CAMPUS is a two-hour session during which young people share views with experts from UNESCO and civil society. 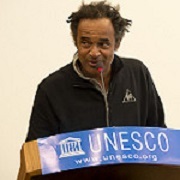 The topic is always linked to UNESCO themes, with the idea of "building peace in the minds of men and women". 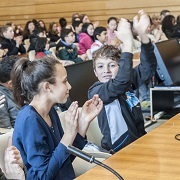 Share the expertise of UNESCO teams and partners to help young people develop a better understanding of key contemporary issues and their role as young citizens. The CAMPUS target young people from midterm and highschool, 70% of which are from priority education zones. 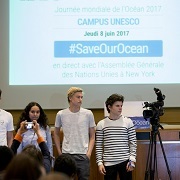 Each CAMPUS gather around 200 to 400 participants in UNESCO Headquarters, Paris. CAMPUS UNESCO "The values of sport"